A Root Canal Treatment (RCT, Root canal therapy, Endodontic treatment) is a dental treatment for saving the tooth from being extracted. 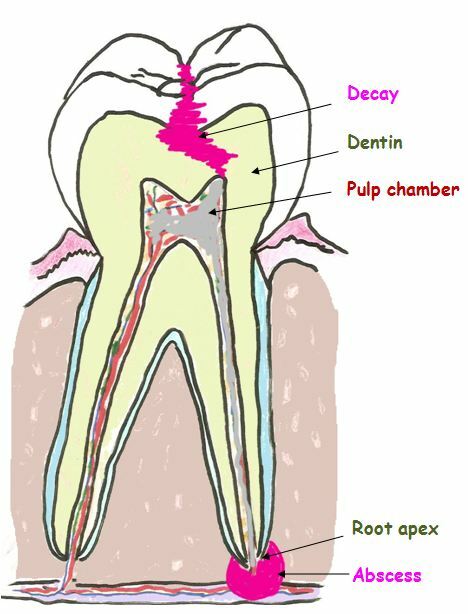 The tooth is decayed deep into a pulp chamber causing the nerve to expose to an oral cavity and infection process begins inside the root canals and drains at the root apex. Root canal treatment helps remove infected or diseased pulp (blood vessels, nerves, and connective tissue) from the pulp chamber and the root canals inside a tooth. Failure to treat an infected or diseased pulp has several potential consequences such as acute and chronic dental infection that ultimately lead to the loss of the tooth. After root canal treatment, the tooth becomes weaker, and a dental crown (cap) is required to protect the crown portion of the tooth from breaking. Fill the canals with root canal fillers (gutta-percha) and root canal cement. 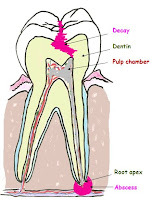 When decay penetrates a pulp chamber, the infection spreads inside the tooth (pulp chamber and root canals), and form an abscess at the root tip. 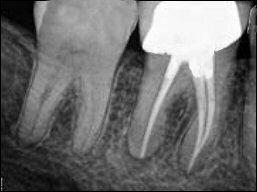 Without root canal treatment; the abscess enlarges, more bone is destroyed at the root tip area, accompanied by severe pain, and swelling of the gums adjacent to the abscess. A root canal treatment will bring relief to the infected tooth. "Endodontist" is a specialist who performed a root canal treatment. Root canal treated tooth is brittle. To protect the tooth from future fracturing, the dentist places a crown on the tooth. In children, before age 18, a temporary crown such as stainless steel crown is recommended. Additional pins and post may be needed to strengthen the restoration. 1. Paresthesia related to root canal treatment (burning, aching, tingling, numbness and itching on the face) caused by nerve injury. The most common nerve affected by root canal treatment is the inferior alveolar nerve. The inferior alveolar nerve runs inside mandibular canal in the lower jaw, close to the root tips of lower teeth; allowing the mechanical or pathological origin to affect the nerve. Injection of a contaminated anesthetic agent such as alcohol. Systemic factors: Leukemia, Multiple Sclerosis, Lymphoma, and viral infection. An accurate patient history, oral exam, radiography (periapical, panoramic, computed tomography scan), and the variety of tests are required to determine the cause and evolution of paresthesia. Paresthesia may last for months or years. Prolong contact to an overfilled root canal filling and sealer, nerve fiber laceration from the needle, and prolonged pressure on the nerve may cause long-term or sometimes permanent paresthesia due to nerve fiber degeneration. 2. Pain due to recurring infection and swelling; resolves by re-do root canal treatment or sometimes extraction. Why some patients experience pain or discomfort after root canal treatment? During a root canal treatment, the dentist removes the nerve and blood supply from the pulp chamber inside the tooth; therefore the tooth itself doesn't have any sensation. But the sensation comes from the outside of the root, some of the tissues and nerves at the root tip may have been inflamed or infected during the procedure. This inflammation can make the tooth become discomfort or even painful after the root canal treatment. Irrigation; the dentist uses 0.5-6% hypochlorite (NaOCl) as an endodontic irrigation to clean and remove debris from the canals. Hypochlorite helps killing bacteria and dissolve necrotic organic tissue inside the root. Drying; the dentist dries the root canal with paper points. The dentist waits until there is no infection before placing post-core and crown over the treated root canal tooth to strengthen the tooth. Without root canal treatment; certain bacteria harbor in the infected root tips can travel to other parts of the body including the heart valve. The infection at the root tip builds up pressure that can push the tooth out of its socket causing bite disharmony, toothache. Without root canal treatment, the remaining abscess inside a jaw bone may constantly feed live and dead bacteria and its toxin into the bloodstream. Taking herbs, vitamins, or even antibiotics prescription may temporarily solve the problem. The correct treatment is to perform root canal therapy or a dental extraction to remove the bacteria-harboring place. 1. Position rubber dam over the tooth and stabilize with rubber dam clamps to prevent contamination from saliva and keep the area clean during the treatment. 2. Remove blood vessels, infected tissue and decayed material inside crown. 5. Dry the canals with paper points. 6. Fill the canals with gutta-percha: a root canal filler. The gutta-percha seals the canals, prevents bacteria and fluid to enter the root canals. 7. Clean the excess gutta-percha inside pulp chamber(crown), prepare the root for the dental post to strengthen the tooth structure if needed. 8. Place the filling material over the post to re-build the crown, re-shape the filling, remove excess material, and check for a high spot. 9. Take X-ray to confirm the root canals were treated properly. 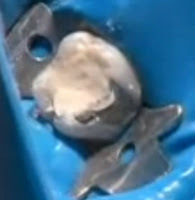 Place the permanent crown on the root canal treated tooth within one year or sooner to prevent the tooth from breaking. In some chronic infection teeth; abscess forms at the root tip that cannot be removed or drain through the crown of the tooth or an infection develops or persists after root canal treatment. The dentist will do a surgical procedure called apicoectomy. The procedure includes; making a small incision at the gums adjacent to the root tip, remove infected tissue and the tip of the root. The area is cleaned and sealed with a root- end filling. Below is a demonstration of Laser Apicoectomy by Dr. Robert Barr. In a multi-rooted tooth, even after a root canal therapy, one or more of the roots become infected or have severe bone loss around the root. The dentist may surgically remove the infected root (amputate), leaving the serviceable root intact. I was the same way Brett, I was so scared to have a root canal done. But after I had it worked on it feels so much better. I am glad how far along dentistry has come along over the years. Useful dental blogs regarding Dentist India ever seen, thanks for the useful post. These blogs are not only for the dentist but also for the patients. Well Written!.. 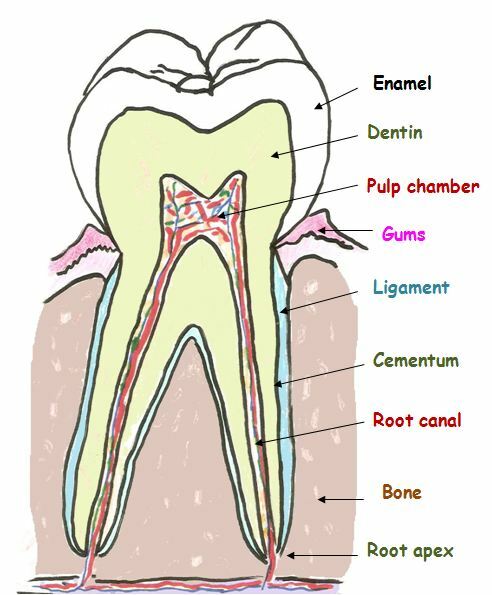 To understand a Root Canal Treatment Plantation, it helps to know about the anatomy of the tooth. 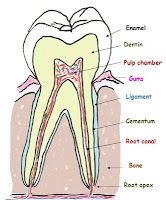 Inside the tooth, under the white enamel and a hard layer called the dentin, is a soft tissue called the pulp. The pulp contains blood vessels, nerves and connective tissue, and helps to grow the root of your tooth during development. In a fully developed tooth, the tooth can survive without the pulp because the tooth continues to be nourished by the tissues surrounding it. Nice Post, A Dental Root Canal is a treatment used to repair and save a tooth that is badly decayed or becomes infected.